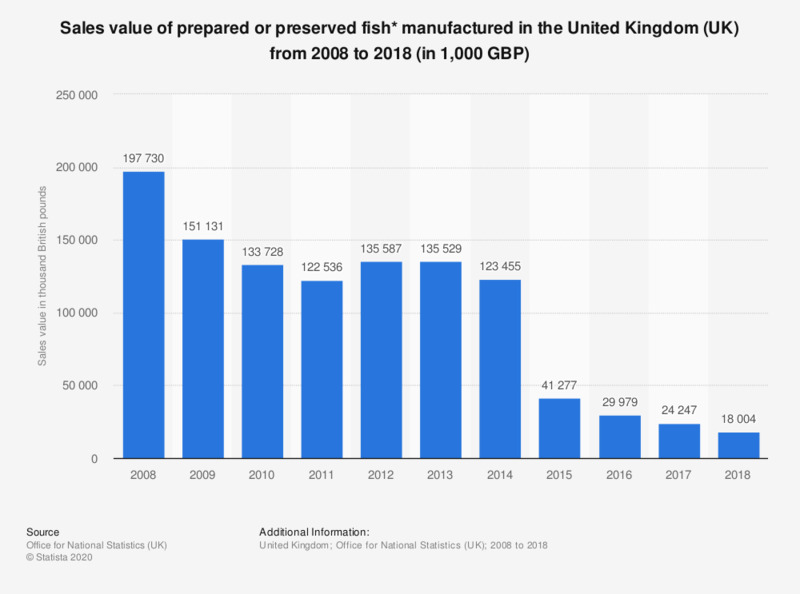 This statistic shows the total sales value for prepared or preserved fish manufactured in the United Kingdom (UK) from 2008 to 2017. In 2017 the sales value of preserved fish reached approximately 24.2 million British pounds. * Including: pastes - homogenized - minced. Excluding: dried, salted, in brine, or smoked - fish whole or in pieces - caviar - prepared meals and dishes. When you are buying fish, which of the features below are important to you?